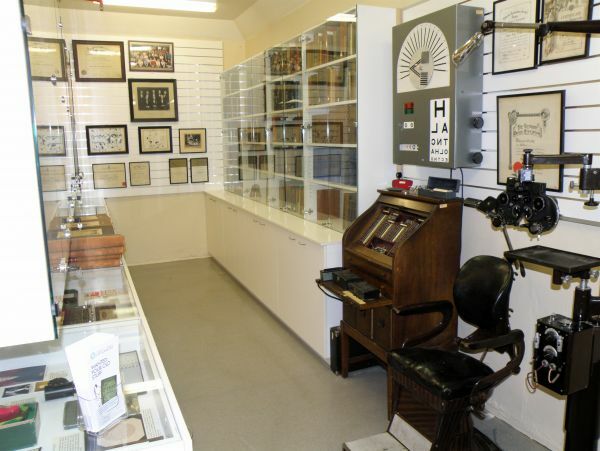 The museum is in the Australian College of Optometry. Members of the College and the general public are welcome to visit the museum. Some items from the collection are on display in the Schultz foyer and the Nathan library of the College. These displays are changed annually. The Aitken and Hewett Book Collections are held in the Nathan Library. These displays and collections can be visited at any time during ordinary opening hours. Most material in the collection is stored in the museum in the basement of the College some of which is on display (see picture). Visitors are welcome to visit the museum for historical research or personal curiosity by arrangement with the Librarian or one of the archivists.